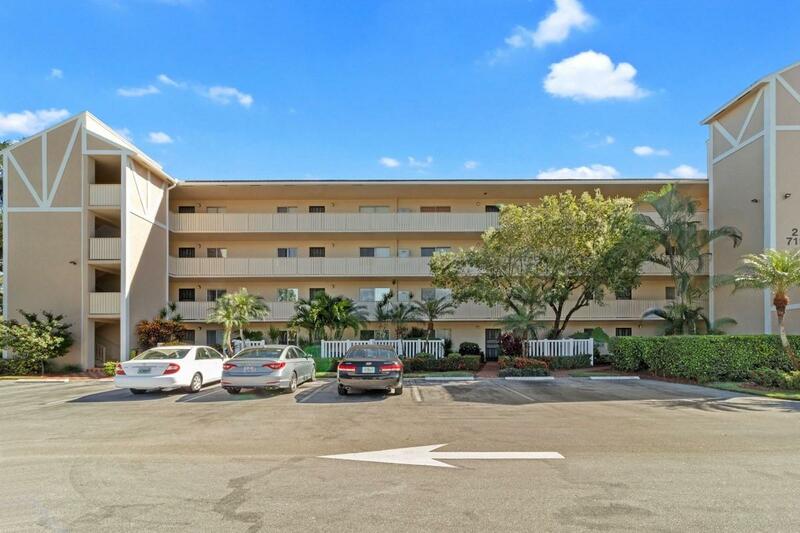 Absolutely gorgeous and completely remodeled 2nd floor corner unit with lovely lake view. Kitchen opened to living area...updated white cabinets, granite countertops and stainless steel appliances. Upgraded tile floors throughout unit. Two walk-in closets in master bedroom, Master bath, shower and guest bath all recently remodeled. AC unit replaced in 2013; HWT in 2017. Full size washer and dryer in unit. All furniture and window treatments included. Spacious storage locker just outside the front door, 1 assigned parking space Everythings remodeled and ready for you to move-in.Huntington Lakes 50,000 sf clubhouse with indoor Olympic size pool is just a short distance away.